Hey friends! 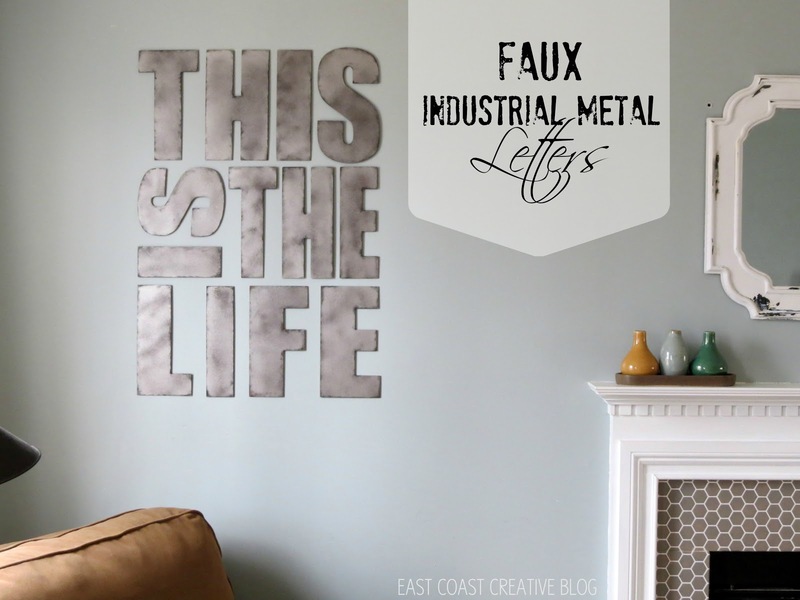 It’s Jess and Monica from East Coast Creative and we’re happy to be back bringing you a cheap easy way to add a little industrial flair to your home! 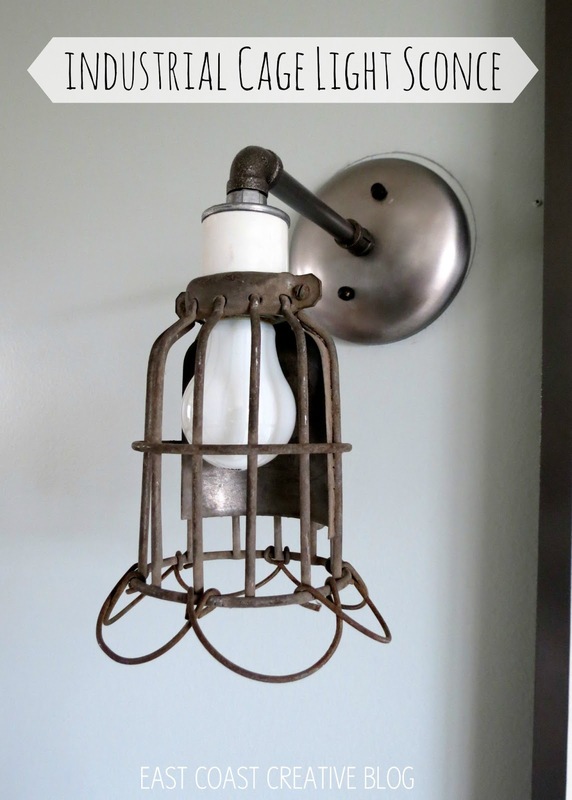 I’m a big fan of mixing in some industrial elements in my home. Since I just added these lights to my dining room that connects to the living room, I thought it would be fun to mimic the tone of the lights somewhere in the living room. 2. 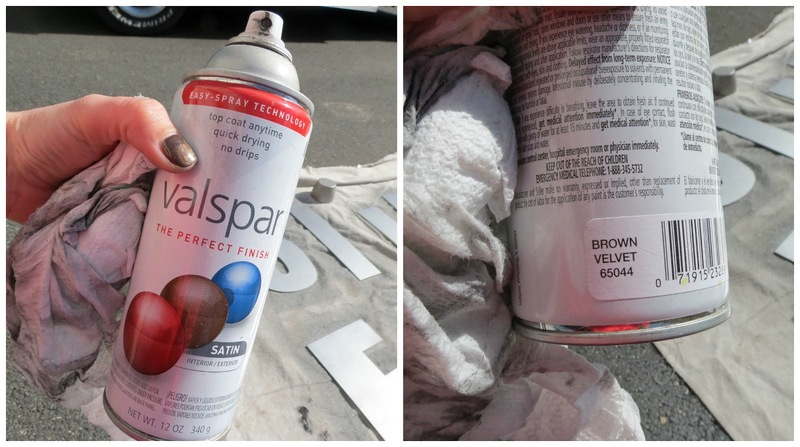 Using Valspar Brown Velvet spray paint, lightly spray the letters from a good distance. You don’t want to be up real close to the letters when you do this. Splotchy and imperfect are the looks we’re going for here! This step takes away a bit of the shine from the stainless steel. 3. 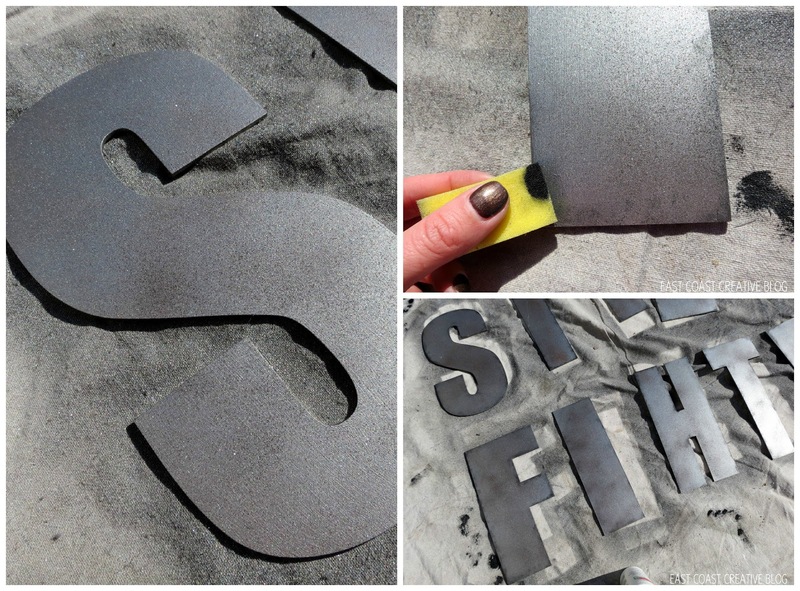 Using a makeup sponge or paint applicator, dab black acrylic craft paint on the edges and corners of each letter. There is no exact science to this. I just dabbed it on, rubbed it in and and, on some occasions, used a damp cloth to wipe it down. If you’d like to add a rust effect, use Burnt Sienna craft paint on the corners and areas that would naturally rust. I didn’t do this as it made it a bit too warm for me. That’s it! To hang my letters, I used picture hanging command strips. After measuring, leveling and measuring some more (that’s a whole OTHER tutorial), I was finally happy with the arrangement! I’m loving the look of my new “old” metal letters. Other surfaces in my house, better watch out! I’m on an industrial metal rampage! 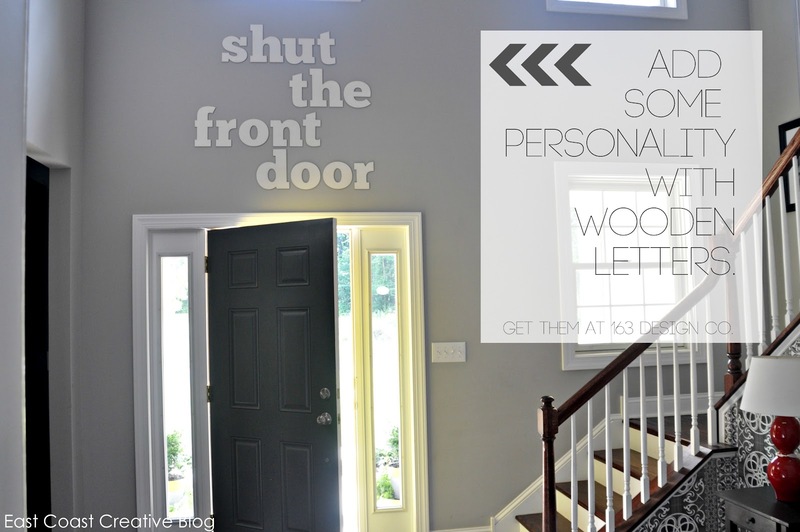 Monica used 163 Design Company to create a unique statement in her entryway, too! We’d love for you to come to see what’s going on with the Creating with the Stars contest we’re hosting RIGHT NOW! Did you happen to see who Beckie’s partner is?? She’s fabulous and we can’t wait to see what they come up with!